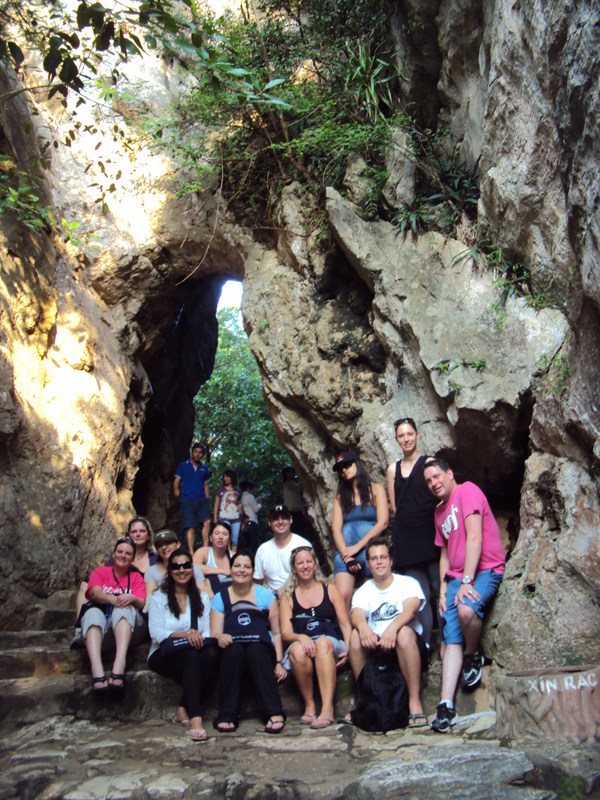 A few of our consultants were invited by Intrepid Travel to join them on an educational to the beautiful Vietnam. They all wrote some awesome reports on their experiences and we would like to share some of them with you. The following was written by Tracey. 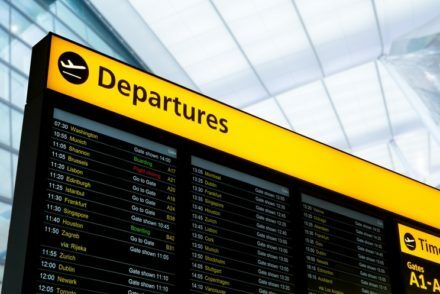 “With much excitement we met half the group at Cape Town International Airport for our domestic flight on BA to Joburg. The check in was quick and the staff was friendly and efficient. We arrived in Joburg and met the rest of the group at the Emirates desk. The flight with EK was comfortable and the crew onboard were very friendly and accommodating. We arrived at midnight and were welcomed by Charlie our fantastic Intrepid guide. We were taken to our hotel about 40 min drive from the airport. Ho Chi Minh is definitely city that never sleeps. Our hotel was basic but clean and comfortable. It was centrally located and I would recommend to people on a tight budget. We all met for breakfast and then we started our tour to the Cao Dai Temple and the Cu Chi Tunnels. It was a 2h30 minute drive from Saigon. It was wonderful to see the locals cycling with their traditional hats on and all the rice fields. We were lucky enough to visit the Cao Dai Temple during their prayer time. It was a very spiritual experience. After a lovely lunch we drove through to the Cu Chi tunnels. It was a real insight into the Vietnamese culture that anyone going to Vietnam should experience. 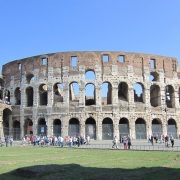 To see how the people lived, the hardships they faced and the ingenuity they used to protect themselves. 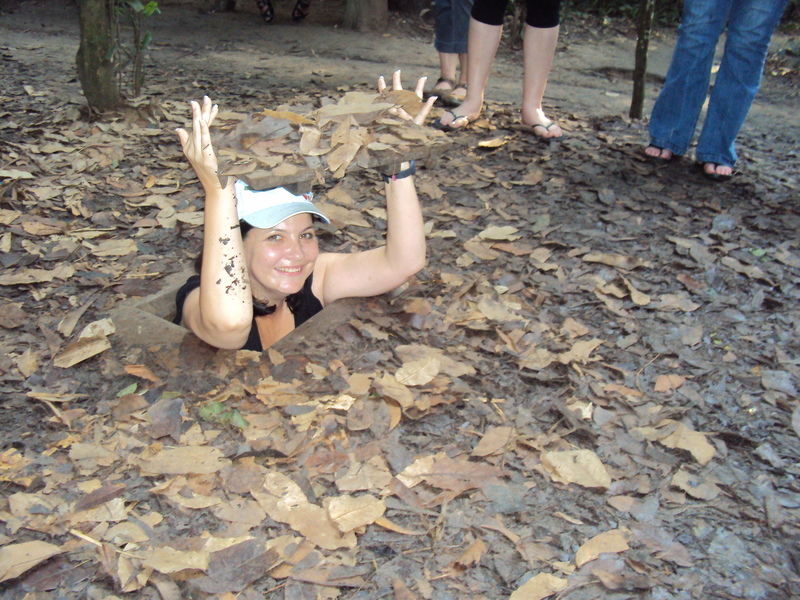 It made sense to me after visiting the Cu Chi Tunnels as to why the Vietnamese although friendly are more reserved. After breakfast we headed to the Mekong Delta. They have a small market at the port which tends to have better quality and prices than in Ho Chi Minh City. The area is the final destination of the Mekong River which winds its way from Tibet, through China, Burma, Laos and Cambodia. 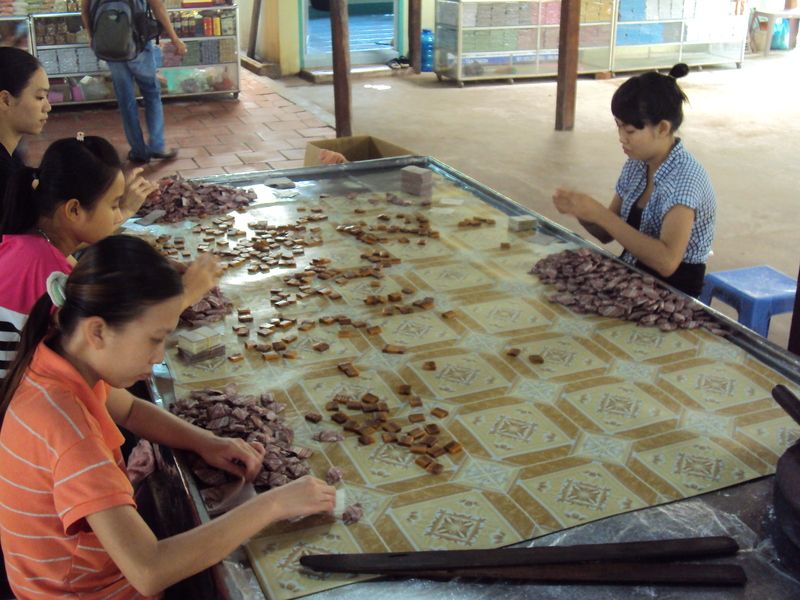 It is a very fertile region and produces approximately half of Vietnam’s total agricultural output. We took a private boat cruise along the Delta visiting a fishing farm, Phoenix farm that produces coconut candy and handicrafts from coconut trunk and shell. After the coconut farm we were taken on a motor cart to An Khanh village passing through local villages and learning about traditional lifestyles, cultures and customs. For lunch we stopped at a home stay, Diem Phuong, where we were treated to elephant fish and various other local delicacies. A highlight for me was taking the smaller boat with maximum 3 passengers through the smaller canals of the delta back to the private boat. We headed back to Ho Chi Minh to a local supermarket to buy supplies for the train journey to Hoi An. I was surprised to see so much local South African products in the shop. We had a quick dinner and walk around the night market before we headed for the train station. 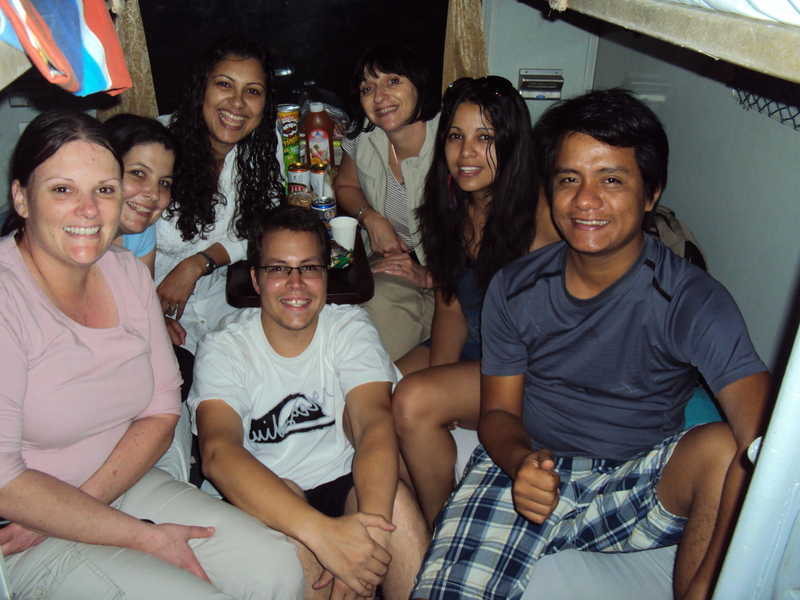 The sleeper train was quite an eye opener. I would not recommend clients taking the train as it takes 14 hours as opposed to a 2 hour flight!!! But the train has compartments of 4 bunk beds and clean bedding/linen is provided. We finally arrived in Danang at 2pm. We were taken to Marble Mountain. It is quite a climb but so worth the view, temples and caves at the top. We arrived at our hotel in Hoi An at about 5pm and then went to explore Hoi An. Hoi An is a picturesque town which is a must see for anyone visiting Vietnam. It is a quiet town filled with cultural tradition and it feels like you are going back in time. It offers plenty of upmarket restaurants at affordable prices and plenty to do. The shops close by 9pm and then the town becomes very quiet with only a few restaurants and bars open. If you want to have clothes made, this is the place to do it. We had dinner at the Banana Leaf restaurant which was absolutely delicious and very affordable. 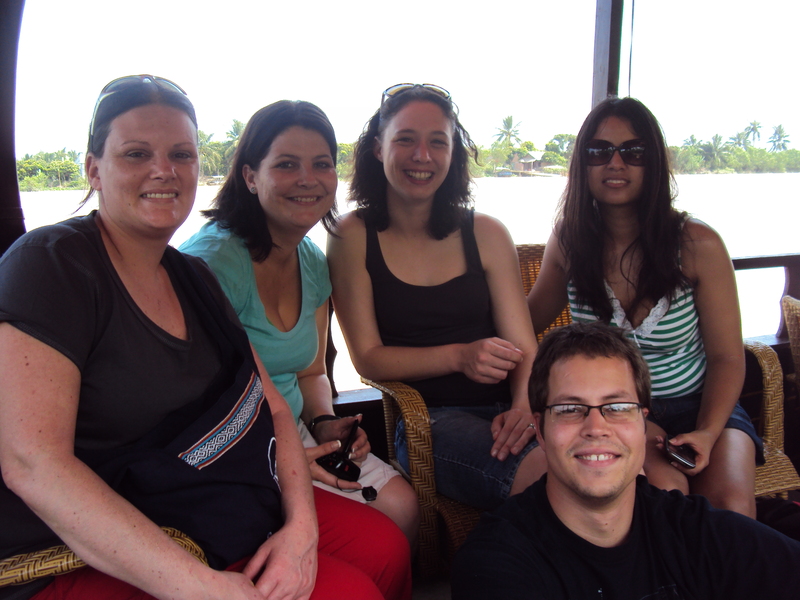 We had a city tour of Hoi An visiting the My Son (Unesco World Heritage Site) and various temples. 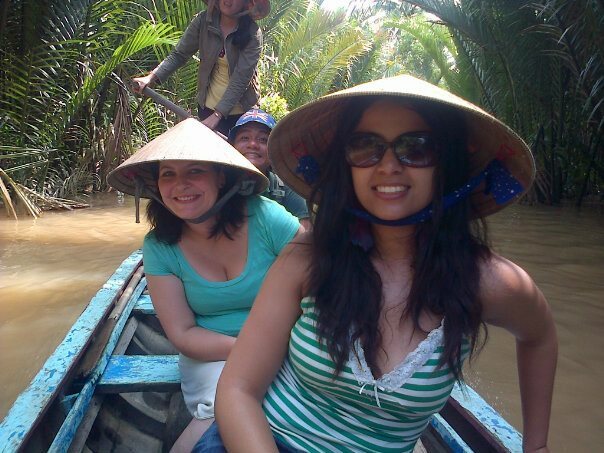 After this we had free time to explore Hoi An and see the locals going about their daily lives. In the afternoon we had a cooking class. 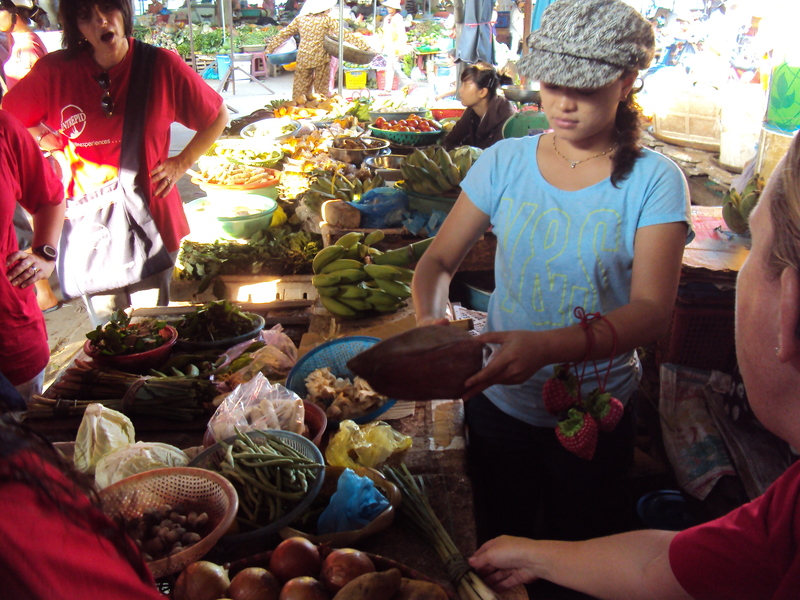 This was a fantastic tour as we were taken to the local markets to discover the wealth of produce Vietnam has to offer and purchase some local ingredients for the cooking class. 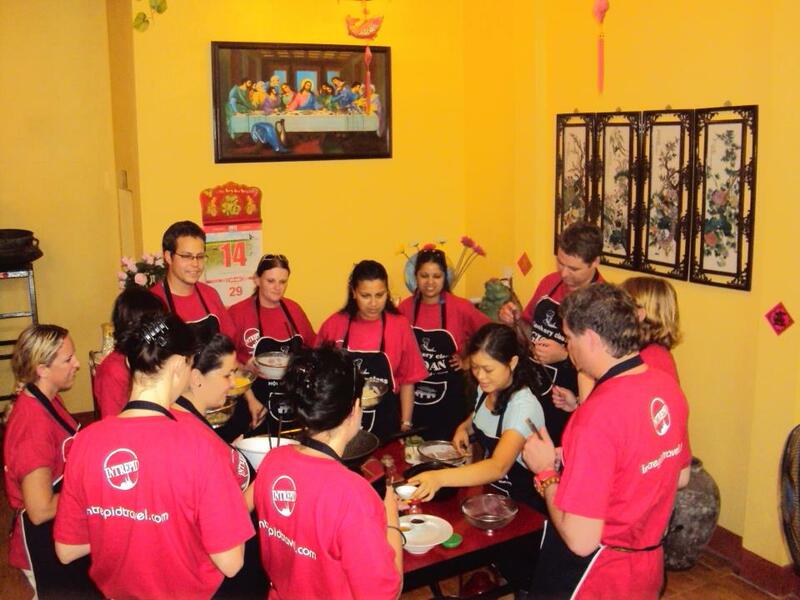 The cooking class was very interactive with everyone enjoying it and leaving us all confident to try cooking the meals at home. We got an hour off and headed to the beach. Swimming in the South China Sea was amazing. The water was warm and the beach picturesque with palm trees and white sand. The beach is under played in Hoi An but is a must if you are visiting. 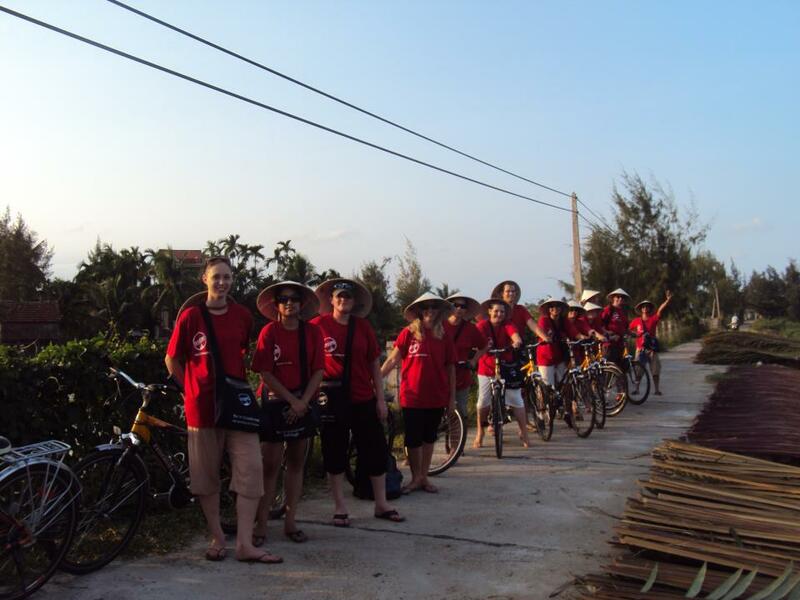 After the beach we went on a cycling tour through the rice paddies and local villages. The route was off the tourist trail giving us a chance to meet and chat to the locals along the way. After an hour of cycling we took a boat to a private island and had a bbq. It was magical watching the sun go down and watching Hoi An lighting up in the distance. An early start saw us heading back to Danang to catch a flight back to Ho Chi Minh City. We did our last minute shopping at the indoor market before heading off to the airport to catch our flight home. It was so sad to say goodbye to Vietnam. Intrepid is definately a great way to experience Vietnam and stay off the beaten track. You get to experience the real Vietnam. Our guide was knowledgeable and loads of fun, he gave us great advice and we got to experience things you couldn’t when on a big tour. The buses are super comfortable and everyone has a window seat. I would recommend only staying in Ho Chi Minh for 2 nights in order to do the Mekong Delta and cu Chi tunnels, but perhaps spend more time in the smaller towns. 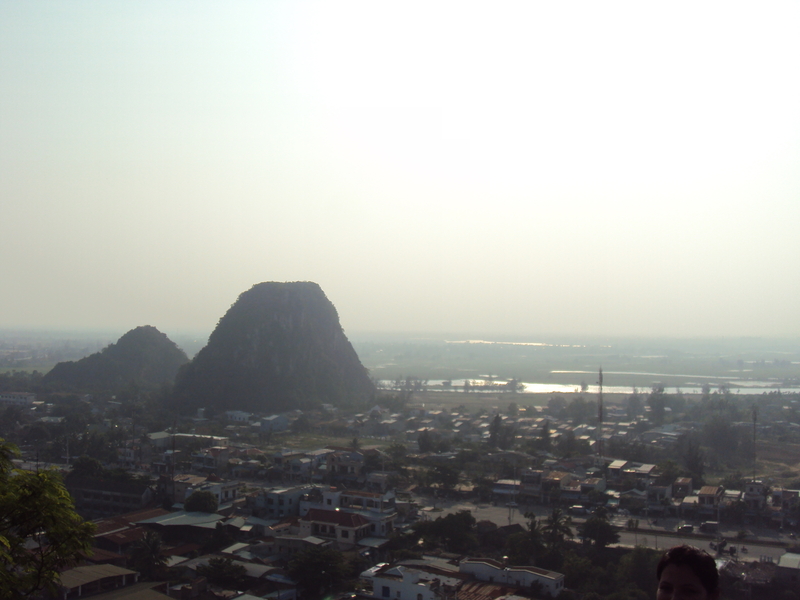 I will definately be back to see more of Vietnam!